Panteo Productions offers a three-part video series for gun permit holders. 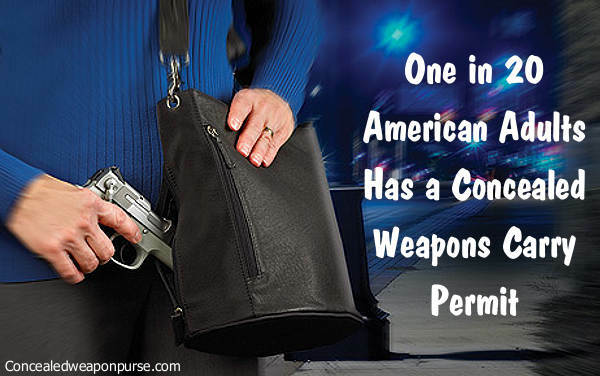 Part Two of this series covers key concealed carry permit considerations. In the video, A Concealed Carry Permit, instructors Kyle Harth and Massad Ayoob carrying a handgun for self-defense, and the important issues associated with defensive gun use. 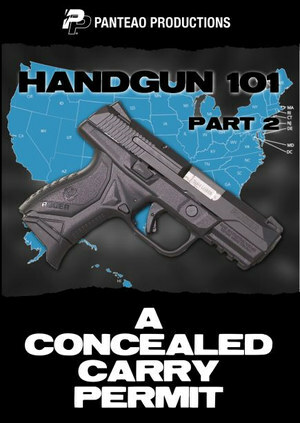 This video reviews concealed carry, traveling from state to state, prohibited carry locations, the use of deadly force, protection of persons and property, and interaction with law enforcement. If you are considering obtaining a concealed carry permit or live in a state where you can carry open or concealed without a permit, this video is for you. *NOTE: This course does not include the State Application Fee for Utah or Virginia. You will leave the course with all paperwork completed to mail in the application and payment for each state. Utah and Virginia Permits are valid for 5 years before a renewal is needed. To take this course, you must be over 21, and bring State Driver’s license, State ID, or Naturalization paperwork/passport. 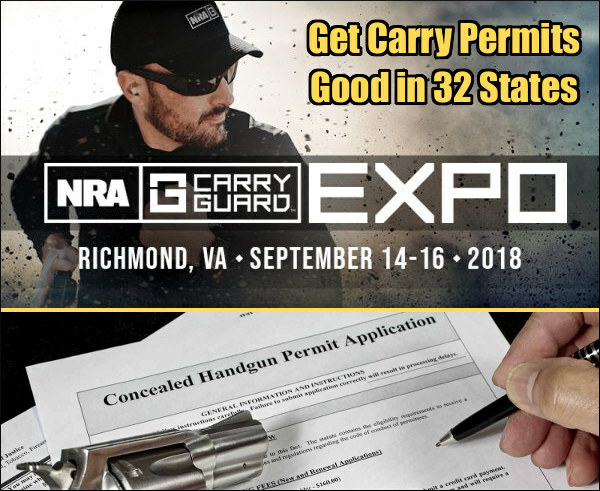 When obtained, having the TWO permits will give you reciprocal carry privileges in: Alabama, Alaska, Arizona, Arkansas, Colorado, Delaware, Florida, Georgia, Idaho, Indiana, Iowa, Kansas, Kentucky, Louisiana, Maine, Michigan, Mississippi, Missouri, Montana, Nebraska, Nevada, New Hampshire, New Mexico, North Carolina, North Dakota, Ohio, Oklahoma, South Carolina, South Dakota, Tennessee, Texas, Utah, Vermont, Virginia, Washington, West Virginia, Wisconsin, Wyoming. YMMV. I have a california CCW, Applied for and received a Florida CCW because it was supposed to cover something like 36 other states. I discovered that although it does cover many states, some states have restrictions such as Nevada, a state I travel through, they now offer a non resident CCW so the FL permit does not apply there, NV non resident requires classes and $$. Other states have requirements such as the firearms you carry must be a firearm listed on your permit. Some states only honor FL resident CCW’s. Many little details that need to be adhered to. 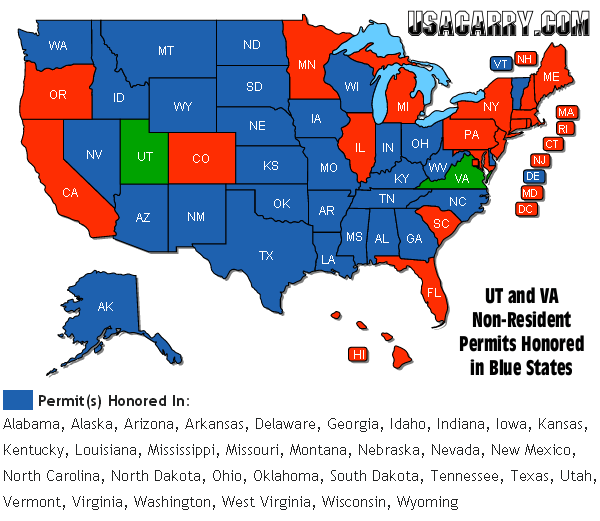 39 States honor my N.C permit.